SVANODIP® FMDV-Ag is a lateral flow device detecting all seven serotypes of the FMDV. 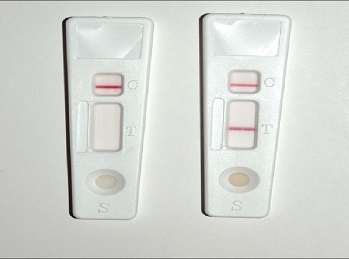 The test captures antigen in fluids from unruptured vesicles/aphthae and vesicular epithelium from ruptured lesions. The easiness of the test procedure and fast availability of an accurate result after 10 min shall enable fast and informed decision making.